Jewish boy from Queens NY interviews Jewish Boy from Westchester. 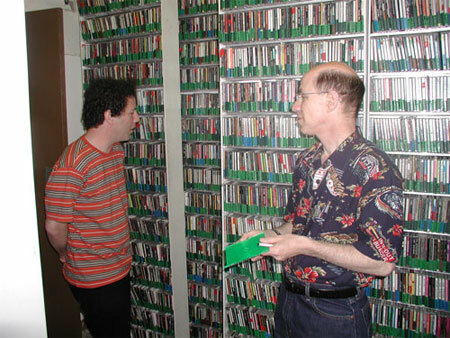 (Dennis the Menace talks to and plays music with Ira Kaplan of Yo La Tengo.) 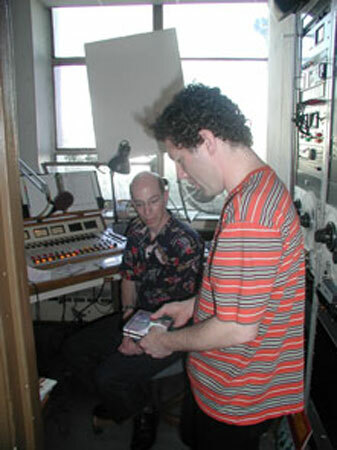 Ira and Dennis talked and engineered segues together for close to an hour (pre-Fillmore sound check) in the KUSF studios n a Thursday in June 2003. Ira talked about YLT’s new “Summer Sun” CD and introduced a couple of his favorite cuts. But he was more interested in playing the music of others from The Clean (YLT’s opening act that night) to “I Am The Moles” by The Moles.